dictatorship, which obtained in the past during the Forbes Burnham regime. “If they succeed in that, then no Government action in the future we would be able to challenge in the courts and get a fair hearing. 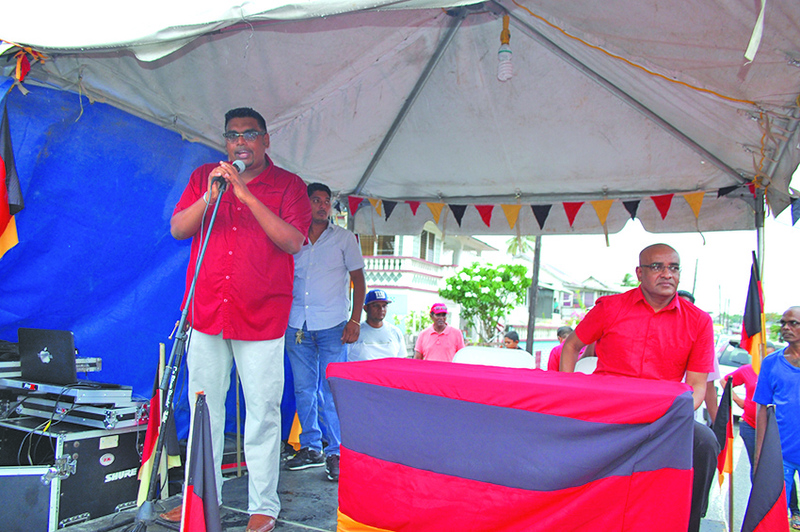 And they can do whatever they want to any citizen of this land,” Jagdeo told a public meeting hosted in Leonora, West Coast Demerara on Sunday. Making reference to the Guyana Power and Light Inc (GPL) metre case which is currently before the courts, Jagdeo claimed that the Government was given preference in that matter since the case was brought forward for an early hearing. “We have seen cases where all the matters that we have before the courts now are deliberately delayed like the elections petition and so many other issues,” he explained. because in free societies, an independent judiciary is indispensable,” the former President said, explaining that even in the case that the People’s Progressive Party/Civic (PPP/C) wins the next elections, there still could be what he termed a “perversed decision by a court”. 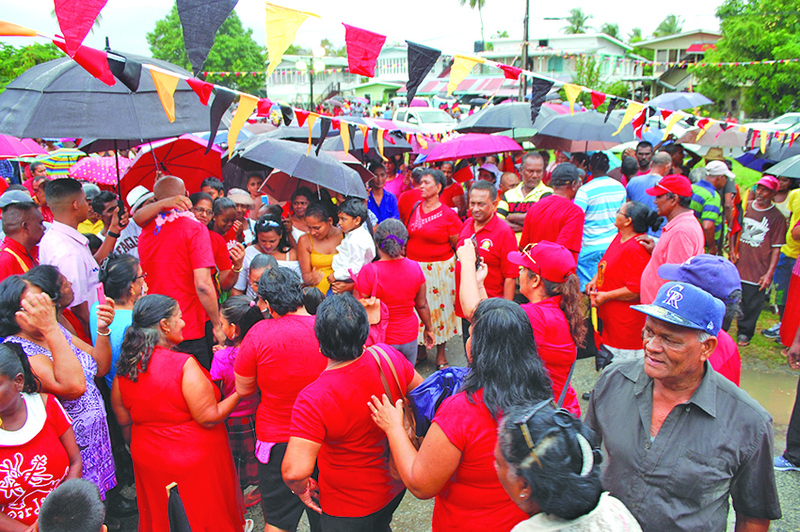 He alleged, “If they go to the court – if a private citizen has a civil matter with the Government, they can direct the Judiciary to give a particular ruling.” Jagdeo said it was, therefore, important that citizens paid close attention to what was going on and ensure that they watch the Government’s moves. 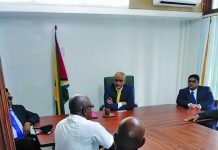 “And we have seen this President for one year delaying the recommendation of the Judicial Services Commission (JSC) until he had his design rolled out,” Jagdeo said, claiming that certain members of that new body were selectively chosen to be part of the team, which may have some preference for the Government. 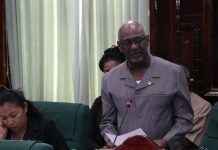 The Opposition Leader also drew the crowd’s attention to recent comments made by Attorney General Basil Williams, who allegedly said the Judges were put there by the Government and ought to rule in its favour. “We have heard the President (David Granger) say there is nothing wrong with the Attorney General threatening a judge in the court,” he added. 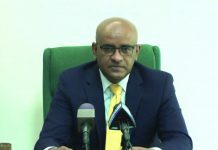 Speaking on the ongoing issue concerning the selection of a new chairman to head the Guyana Elections Commission (GECOM), Jagdeo said citizens must not take lightly the words uttered by President Granger following the acting Chief Justice’s ruling, when he said that despite the mostly favourable judgment in relation to the issue, he would act in accordance with his perception. 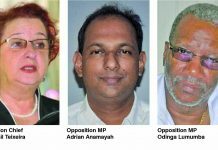 Jagdeo also accused Speaker of the National Assembly, Dr Barton Scotland of being a partisan individual and possibly being easily seen as the 34th Member of Parliament of the A Partnership for National Unity/Alliance For Change (APNU/AFC) when in fact he should have been an independent arbiter.